Fellow energyworkers, healers, change-makers, creatives, and spiritual folk: This is for YOU! It's time to shift the outdated paradigms around self-worth, money, self-love, and abundance. If you are reading this, then YOU are here to make changes on this Earth. You are here to usher in greater love and empowerment. The empowerment starts with you. 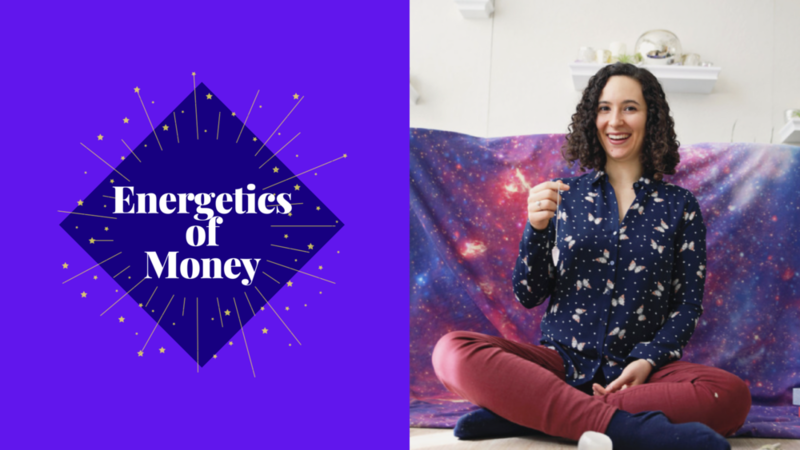 This Energertics of Money course is a true creation of love. The seeds for this course were planted into my heart by the Divine. I have studied, explored, observed, experimented, and embodied. I am now ready to share my learnings with you! Join me on this healing journey of self-discovery and empowerment! - Channeled messages from whatever guide or ascended master visits us that day! - 6 pre-recorded modules (including module 1). Each module is about 60 minutes in length. - Private, loving Facebook community. - Virtual (email, Facebook, Voxer) support from Marley for 6 weeks (from date of purchase) as you navigate this course. Join me on this journey of empowerment!